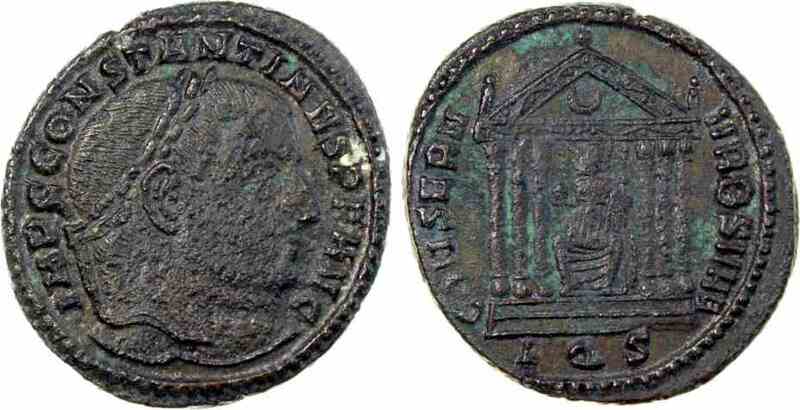 Bronze follis, 25mm, 7.55gm, issued AD 308. Aquileia mint. Obv: IMP C CONSTANTINVS PF AVG, Laureate head facing right. Rev: CONSERV VRB SVAE (AQS in ex. ), Roma seated within hexastyle temple. References: Sear 15883, RIC 121c.